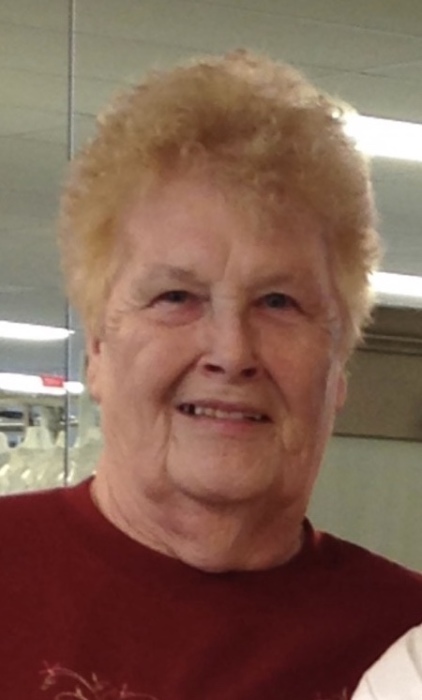 Mary E. Seelbinder, 78, of the Town of Niagara, NY, passed away on Friday, February 1, 2019 in Mount St. Mary’s Hospital. Born on October 7, 1940 in the Town of Niagara, she was the daughter of the late Mack and Pearl (Beatty) Gibbons. In 1961, she married William J. Seelbinder. He predeceased her in 1994. Myrt, as she was known to family and friends, was a lifelong area resident and attended local schools. She enjoyed a 50 plus year career in waitressing. At the time of her retirement in 2010, she was a 25 year employee of Pete’s Market House. Prior to this, she owned and operated Bill’s Grill and The Arterial Lounge. Myrt enjoyed shopping, camping, traveling and above all, taking care of her family. Myrt is survived by sons, Norm (Becky) Seelbinder, Jeff (Cheryl) Seelbinder, Kevin (Lynn) Seelbinder and Randy (Tammy) Seelbinder; 13 grandchildren; 16 great-grandchildren; a brother, Sam “Shorty” (Marcia) Gibbons; her niece, who was like a daughter, Deb Dufour, and several nieces, nephews and cousins. In addition to her parents and husband, she was predeceased by a son, James “Bim” (late Debbie) Gibbons; 5 brothers and 3 sisters. Visitation will be on Wednesday from 3-7 p.m. in the Chapel of OTTO REDANZ FUNERAL HOME, 2215 MILITARY ROAD, NIAGARA FALLS, NY, where a funeral service will be held on Thursday, February 7th at 10:00 a.m. Entombment wil follow in Gate of Heaven Cemetery. Arrangements are under the direction of Michael R. Goodlander. Please visit www.goodlandercares.com for online condolences and to order flowers.